This entry was posted in ancient woodland, folklore, Leomansley, Lichfield, wildflowers and tagged ancient woodland, bluebells, indicator species, leomansley, Leomansley Wood, Lichfield, myths, Sloppy wood, thunderbolt, wild flowers, wind flower, wood anemone by Kate. Bookmark the permalink. There is an amazing book published in 1996 and written by Richard Mabey…Flora Britannica. It is a survey of wildflowers from all over Britain, including folklore contributions from the public. 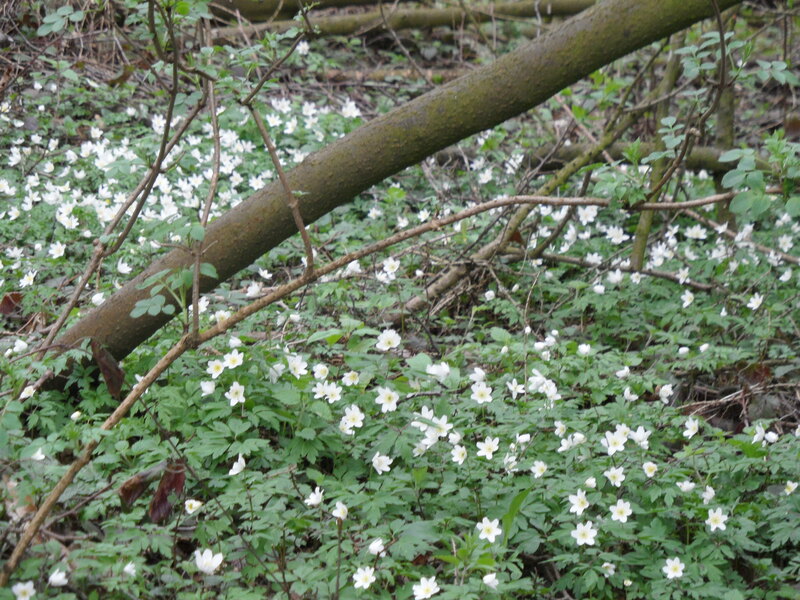 One of the earliest spring flowers, and one of the most faithful indicators of ancient woodland. It’s seed in Britain is rarely fertile and, even when it is, does not stay viable for long. Instead, this plant spreads at a snail’s pace, no more than 6 feet each hundred years, through the growth of its root structure. 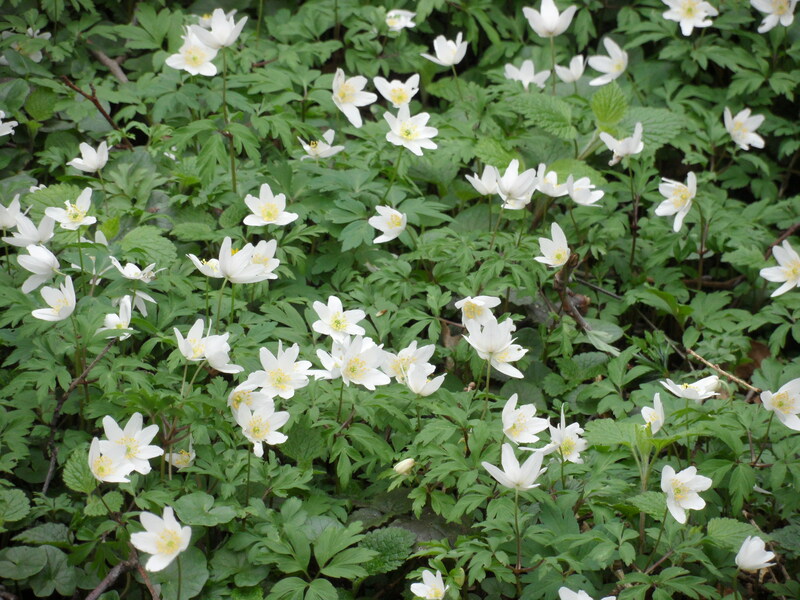 Wood anemone is consequently a very confined plant, rarely extending its territory beyond its ancient traditional sites. These are usually in long-established woodland, though in the West Country it is also abundant in hedge-banks. Elsewhere it is frequent in ancient meadowland; and in the Yorkshire Dales, for instance, in limestone pavements. In many of these places the colonies may be relics of previous woodland cover, but the wildflower’s liking for light suggests that it may not be a plant of purely woodland origins. It will not grow in deep shade and opens its blooms fully only in sunshine. On warm days in early April, a large colony of anemones can fill the air with a sharp, musky smell, which is hinted at in some old local names such as “smell foxes”. Most of these names are now obsolete, but there are at least two comparatively new ones, “moggie nightgown” in parts of Derbyshire (in Stanley Common and moggie is a mouse, not a cat) and the delightful, if not especially appropriate, children’s miss-hearing,”wooden enemies”. 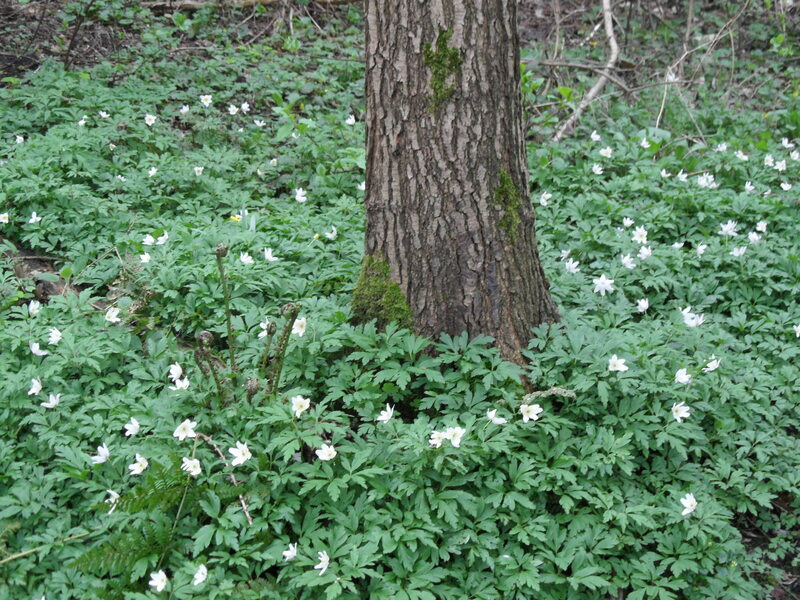 Colonies of wood anemones with purple or purple streaked petals are quite frequent, e.g. in Wayland Wood, Norfolk, the site of the Babes in the Wood legend. But the sky blue form, var. 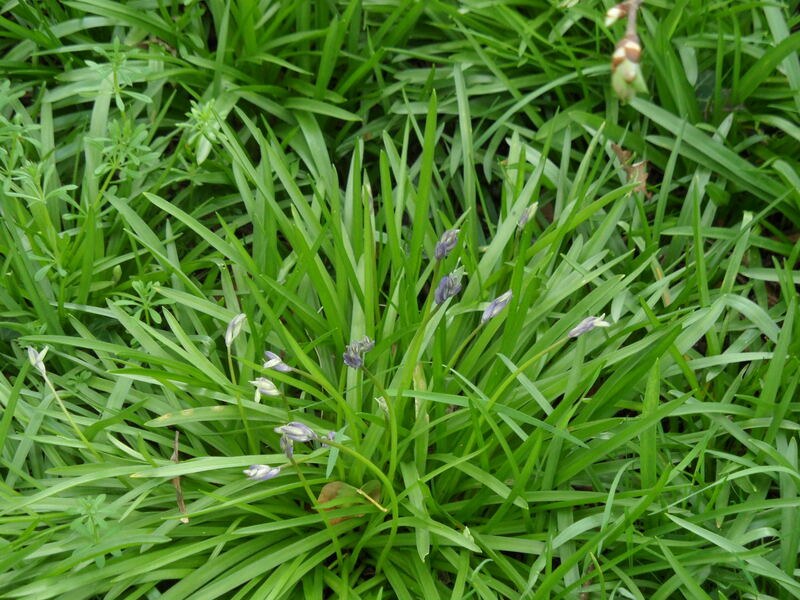 caerulea, is much rarer, and may have been lost. It was a great favourite of the 19th century pioneer of ‘wild gardening’, William Robinson, who was careful to distinguish it from the occasionally naturalised European blue anemone, A. apennina. Wonderful stuff – will keep my eye open for a copy of that book, sounds fab. Smell foxes!